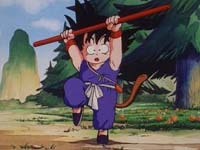 Bulma's search for six Dragon Balls leads her to a remote valley, and to a boy named Goku. The two strangers begin their new relationship with Goku's naiveté getting on Bulma's nerves, but after Goku saves Bulma's life they join forces in search of the remaining Dragon Balls. Without realizing where they are, Bulma and Goku camp near the valley of the Bones, a foreboding land where one of the Dragon Balls lies hidden. Emperor Pilaf dispatches his henchmen to recover the ball, but they and Goku run into each other and a pack of ravenous wolves. With the tournament behind him, Goku begins a search for his grandfather's Four-Star Dragon Ball. Emperor Pilaf, Shu, and Mai reappear on the scene, intent on finding all of the Dragon Balls. 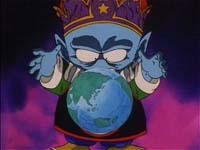 In addition to Pilaf, a new force has shown up in the search for the Dragon Balls, the dreadful Red Ribbon Army. Colonel Silver of the Red Ribbon Army possesses an unwavering determination to round up all the Dragon Balls and this drives him to do whatever is necessary to accomplish his mission. 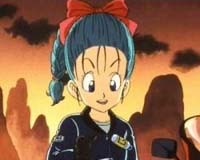 Bulma has finally figured out a way to ride with Goku on the Nimbus Cloud, but certainly not because she has a pure heart. The Dragon Radar leads the duo to the ocean. Unable to retrieve the Dragon Ball from the ocean floor, Goku and Bulma head to Kame House to see if Master Roshi can help. Krillin decides to join the search for the Dragon Balls. Meanwhile, Commander Red, the leader of the Red Ribbon Army sends the handsome General Blue after Goku. Blue decides to split his men into two companies. He sends one company to Roshi's Island while he and another company head in a different direction. The search for the Dragon Balls leads Goku and his friends to an old pirate's cave that is full of booby traps and surprises. Goku, Bulma, and Krillin return to the Kame House for some much needed rest. Blue, still in pursuit of Goku, shows up and rudely interrupts their relaxation. Goku follows Blue on his Nimbus Cloud and ends up crashing into another mountain. On the ground Goku meets some bizarre people from Penguin Village. The fragile Dragon Radar is broken again and his new friends think their village mechanic might be able to fix it. Even if Goku gets the Dragon radar fixed, is it too late for Goku to catch up to General Blue?